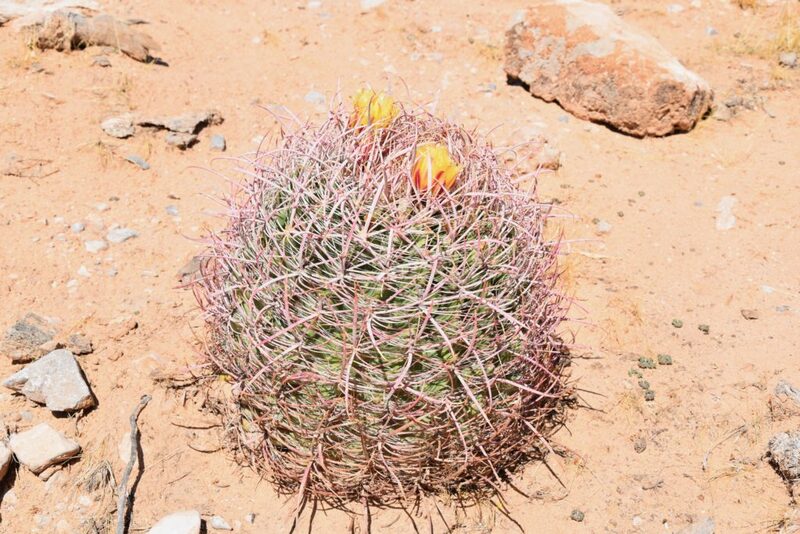 In far southeastern Nevada, Gold Butte National Monument preserves a remote and rugged desert landscape. 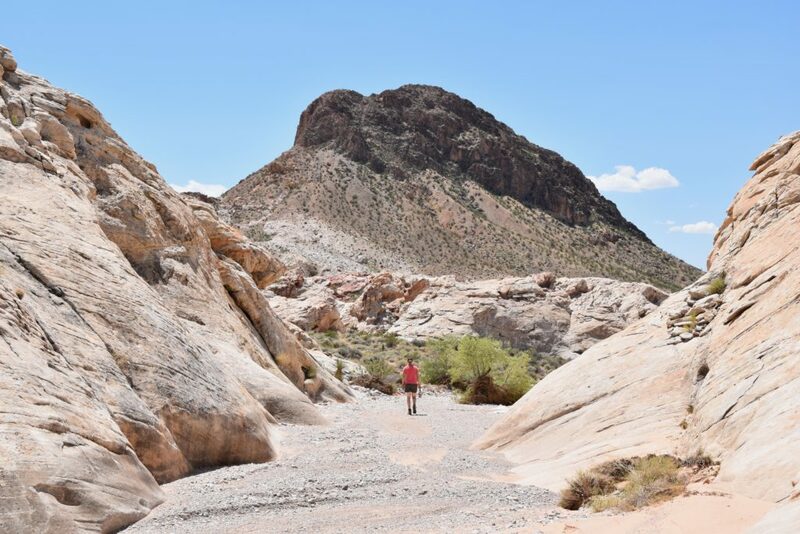 Gold Butte isn’t your typical desert, though. It has outcroppings of red and pink rock, sculptural red sandstone piles, mountains rising unto 8,000 feet, and canyons. These features make for a stunning contrast to the desert basin stretching between the Virgin River to Lake Mead. Scattered throughout the basin and rock formations are amazing reminders of the over 10,000 years of people who have called the area home. There are remnants of indigenous cultures such as agave roasting pits and petroglyphs, and of western settlers, including townsites and a small dam. 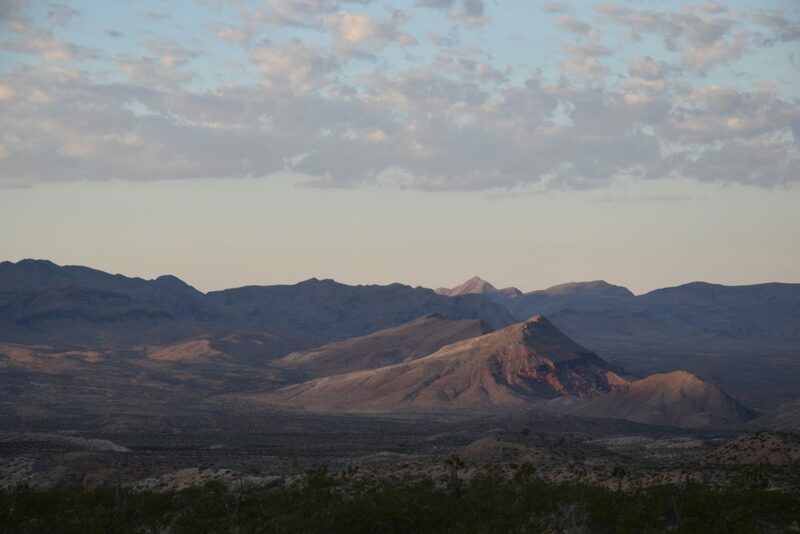 Gold Butte also provides a home to numerous desert species, including the endanger Mojave Tortoise, and is an important migratory corridor for mammals. We saw a a bunch of jackrabbits, cottontail rabbits, a couple lizards and a prairie falcon, but I’m pretty sure that’s because everything was hiding in the 100+ degree heat. 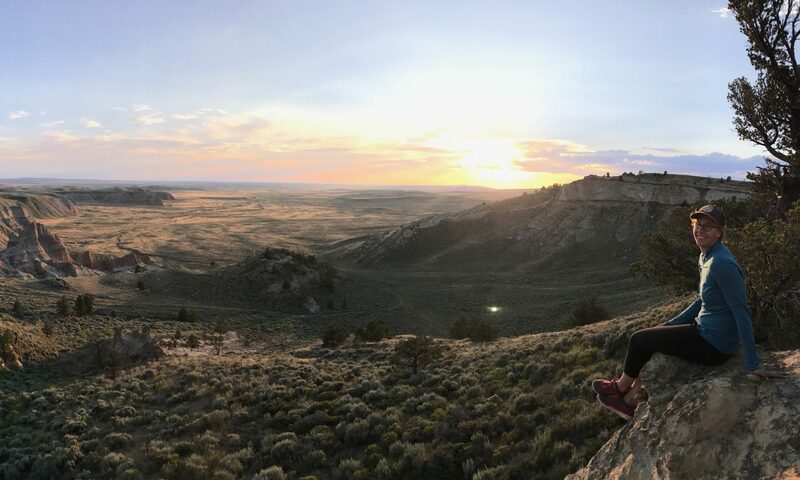 It is not an easy place to travel; the “paved” road from the highway is degraded and the roads inside the Monument generally require high clearance vehicles. The access difficulties only seem to contribute to the feeling of solitude and wildness, and hopefully help keep the place protected. 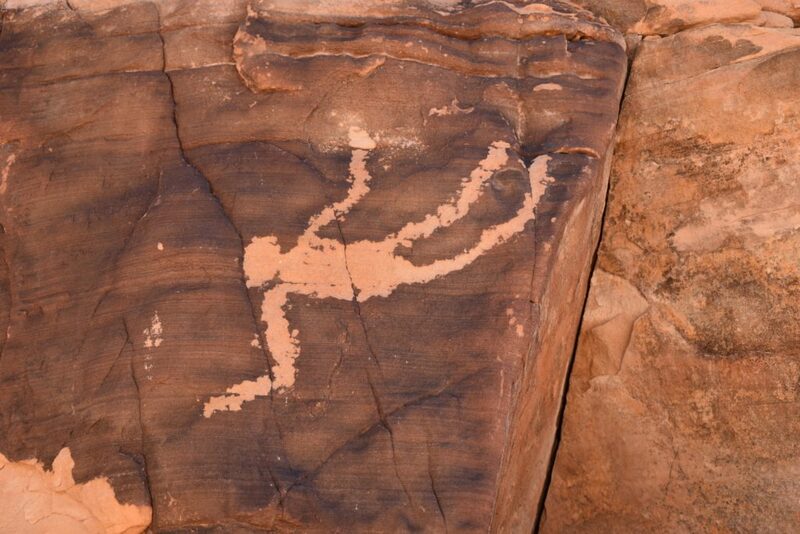 If you head out to Gold Butte be sure to visit the 21 Goat petroglyph panel and the Falling Man petroglyph. Along the way to Falling Man, you’ll pass an old agave roasting pit (hard to make out after years of people driving over it and removing artifacts), and many other petroglyph panels. 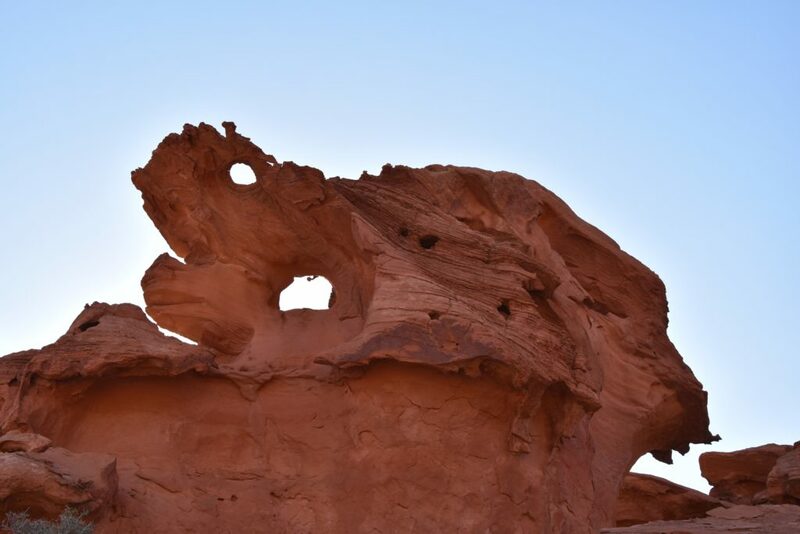 The red sandstone formation known as the Devil’s Fire, Little Finland or Hobgoblin’s Playground is a sculpture garden in the middle of the desert. 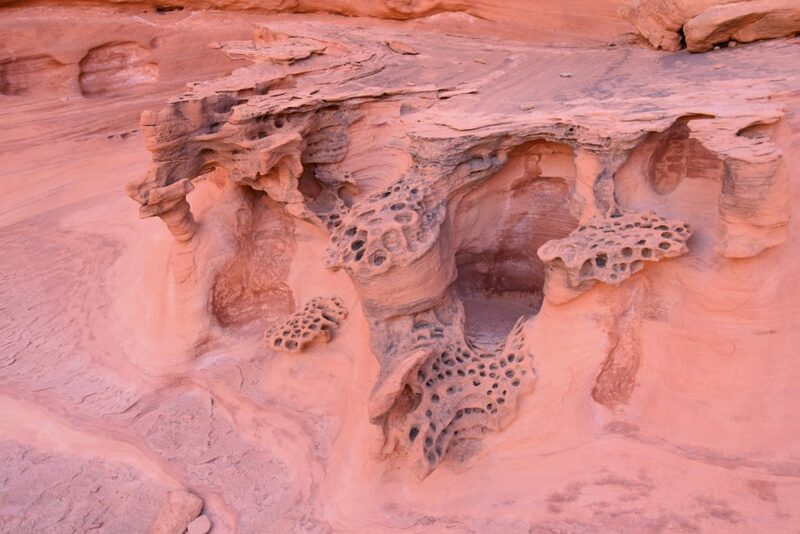 The red sandstone has been carved by wind and water to create beautiful and odd rock formations that create a fairy-land for visitors to explore. 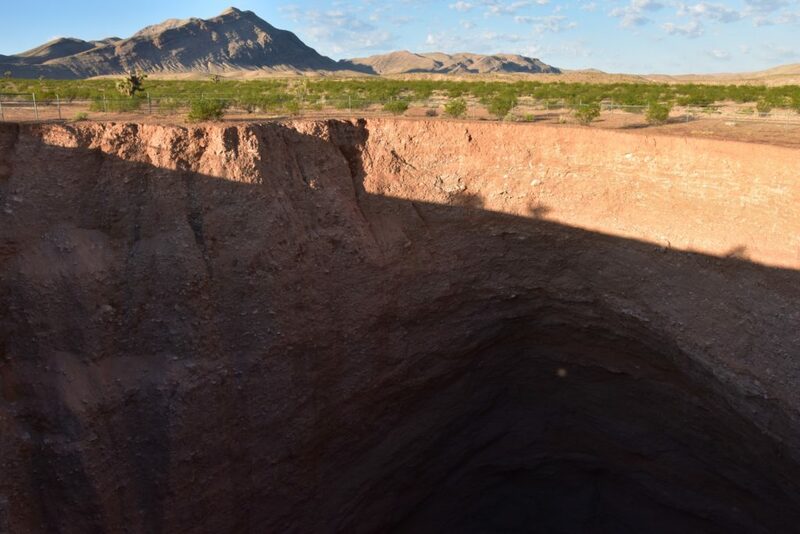 The Devil’s Throat is an aptly-named large sinkhole in the middle of the desert. 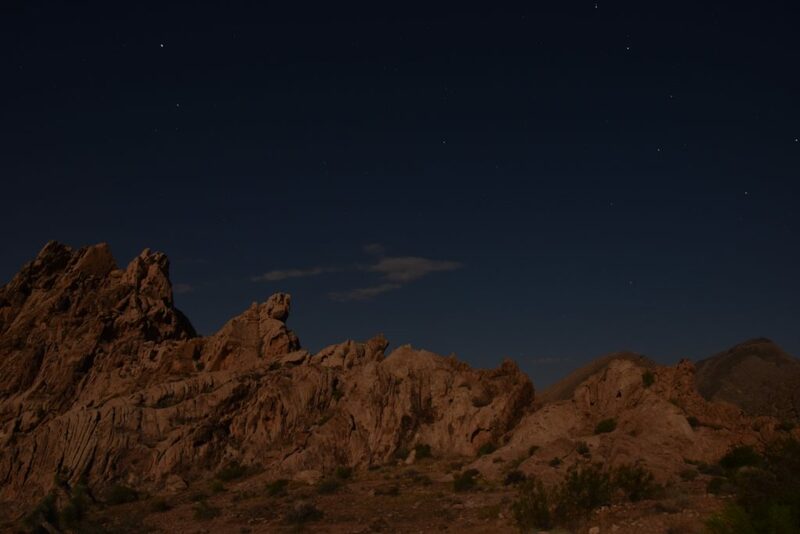 An almost-full moon illuminated the rocks and surrounding desert through the night. 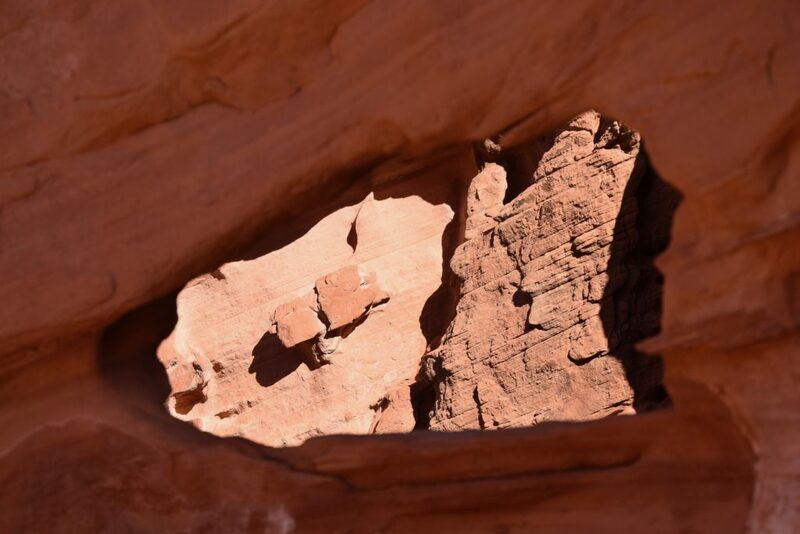 Gold Butte was designated in 2006 by President Obama, and while it’s designation has not been as controversial as Bears Ears, the Monument certainly has its detractors. The Bundy Ranch is located near its northern border and the Mesquite City Council issued a statement supporting the review. 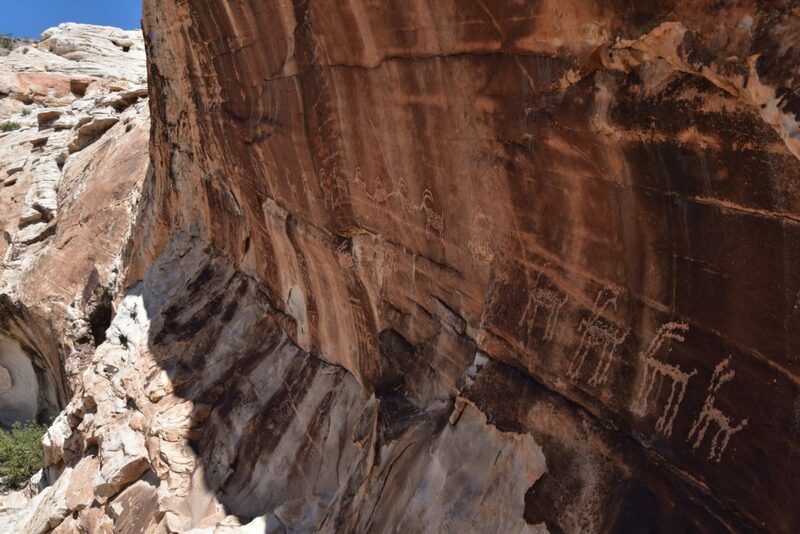 Interior Secretary Zinke recently made a short visit to the monument, but he cut short the tour and did meet with local advocacy groups or the Moapa Band of Paiutes with cultural ties to the Monument. 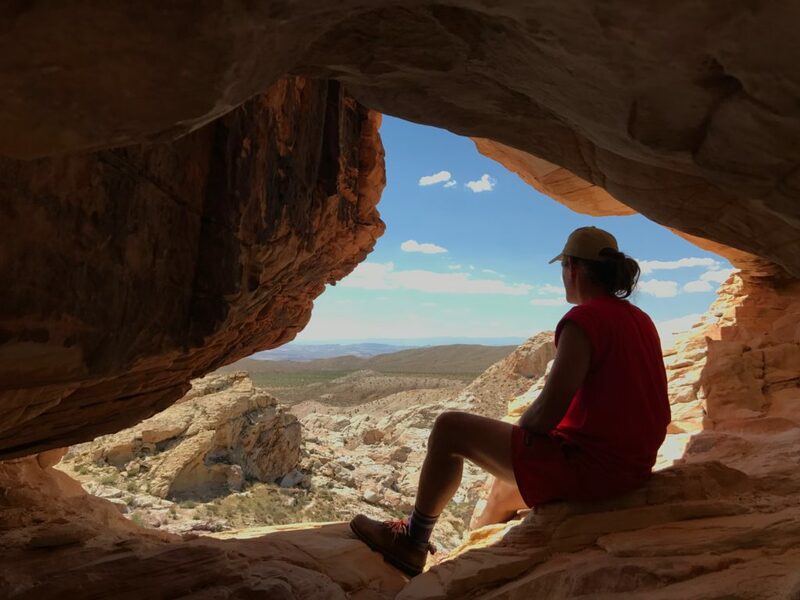 Given the focus of Zinke’s visit and the local politics, Gold Butte certainly seems under threat. 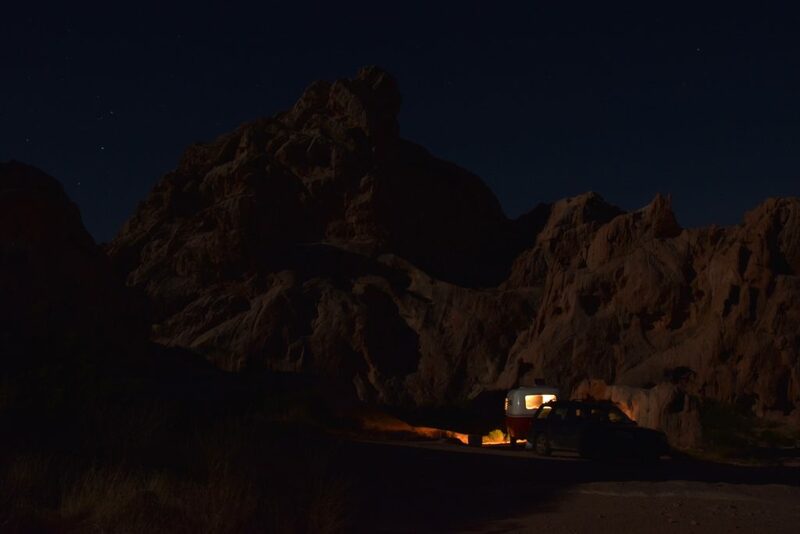 After visiting and seeing the amazing landscape, we stand with Gold Butte!